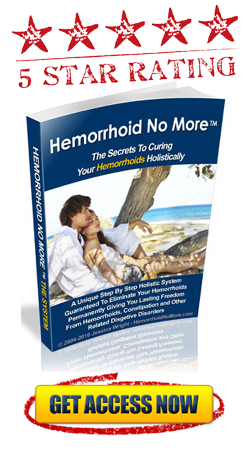 Finding an effect hemorrhoids home treatment is ideal when suffering from hemorrhoids. Although the above home treatments are the fastest and most effective way to get rid of hemorrhoids, there are also a range of free home treatments you can try. Relaxing in a Warm Sitz Bath – A sitz bath for hemorrhoids is one of the most effective and least expensive treatment options you can use. A true sitz bath is taken in a sitz bath tub that is designed to fit over the toilet seat of your toilet. You would then put warm water and baking soda (if you like) into the tub and sit in it for 15 to 20 minutes several times daily. However, you can just sit in a warm bath and this will also help to clean the hemorrhoid area, increase the blood flow, relieve the pain and decrease the size of the hemorrhoids. A sitz bath tub is a little more effective than a traditional tub only because the area is more concentrated and it is designed to specifically target the area of your hemorrhoid. You can find these pretty cheap at medical supply stores or online. Changing Your Diet – Since constipation is the major cause of hemorrhoids, changing your diet to include foods high in fiber is imperative in curing your hemorrhoids. While your hemorrhoids are active, eating a diet high in fiber will help keep your bowel movements regular and of normal consistency. After your hemorrhoids have gone, eating a healthy diet and drinking 8 glasses of water or more daily will help you to avoid hemorrhoid flare-ups in the future. Aleve – Another very effective hemorrhoids home treatment is using over the counter pain medications such as Aleve, which contain anti-inflammatory properties. First and foremost they will provide you with some much needed pain relief, but in addition to that they will help shrink your hemorrhoid. I want to point out that you should only use Aleve and other anti-inflammatory over the counter medications when you are actually dealing with a hemorrhoid flare-up. This is not to be used for maintenance.